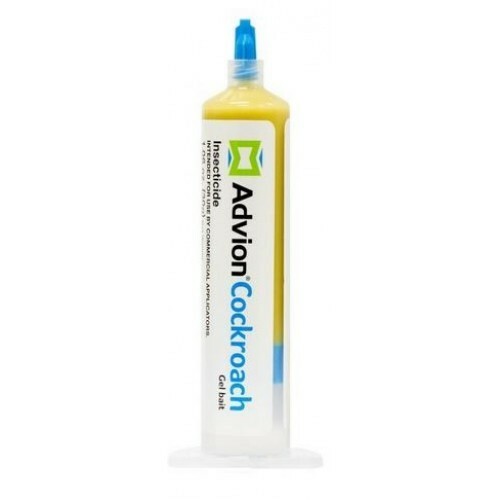 PRODUCT DESCRIPTION: DuPont™ Advion® cockroach gel bait is a new, high-performing product from DuPont Professional Products targeting all pest species of cockroaches. Based on the exceptional active ingredient -indoxacarb, Advion® cockroach gel bait represents the miracles DuPont science can deliver. Cockroach species controlled, but not limited to: German (also gel bait-averse), American, Australian, Brown, Smokybrown, Oriental, Brownbanded and Asian. This unique product, powered by MetaActive™ compound, combines a novel, high-consumption bait matrix with a potent, non-repellent active ingredient. Cockroaches cannot resist this superior combination and even the toughest populations are quickly controlled. 1. ADVION® cockroach gel can be used indoors or outdoors applied as a crack and crevice treatment within residential homes, industrial facilities, offices, warehouses, commercial kitchens, hospitals, schools, nursing homes, hotels, buses, trains, aircraft, retail and commercial establishments, and other areas infested with cockroaches. openings leading into voids and hollow spaces in floors, walls, ceilings, equipment legs and bases, around plumbing pipes, doors and windows, and behind and under appliances, cabinets, sinks, closets, and any other equipment that cockroaches are typically known to hide. 3. Avoid applying ADVION® cockroach gel to surfaces recently treated with residual sprays. 4. Surfaces treated with ADVION® cockroach gel should not be treated with residual sprays. 5. Repeat applications may be made upon inspection during follow-up inspections of the treated areas. 6. Do not apply to surfaces that food contacts. 7. Do not allow open foods to contact gel material. • For heavy infestations of cockroaches, apply 3 to 5 spots of ADVION® cockroach gel bait per 10 linear feet. 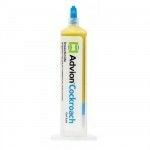 • For light to moderate infestations of cockroaches, apply 1-3 spots of ADVION® cockroach gel bait per 10 linear feet. • For all levels of cockroach infestations, when a bead of ADVION® cockroach gel bait is used, apply a small thin bead that is less than 1/8” wide and approximately 2 inches long. Both the roaches and I love the jel. I used it and noticed they were attracted right away. Backed up with the Orthene spray and we have been cleaning up roaches for 3 days . All sizes at first, but now all small ones. I highly recomend this product to anyone and have. I was not so sure at first as it was too easy to use, but ordered it and 4 days later used it & wow!! Beats anything I bought from the stores. # 1 in my book.